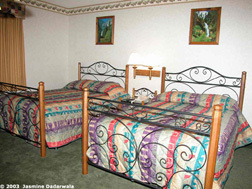 All rooms are ground level with ample parking in front of each room. We include remote control color tv's in each room with 55 channels including HBO, ESPN and CNN. Non Smoking rooms are available for our guests. Other ammenities include free coffee and tea in your room. Modern phone system including AT&T Long Distance. 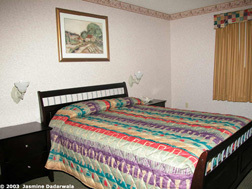 Air conditioning and heating are standards in each of our rooms. Click here for a valuable coupon!